Norwegian divests aircraft and talks of unnamed Asian investors, but will creditors be happy? After a poor first outing, the Irish rugby team headed to Edinburgh to face Scotland – with Aer Lingus watching along the way. Watch here. Emirates welcomes Pope Francis as he makes his historic trip to the region. Watch here. Eithad, meanwhile, actually flew the Pontiff on one of its aircraft. Watch here. Uganda’s Ministry of Tourism is under fire from feminists for its Miss Curvy Uganda beauty pageant to attract tourists. Watch here. Turkish Airlines has enlisted the help of the Lego Movie 2 characters for its new onboard safety video. Watch here. Another month, another Storm – this time Erik. Watch here as a passenger films a bumpy approach to Dublin Airport. In a video to promote the Fill Your Heart with Ireland campaign, Tourism Ireland brought a couple to the island – with heart monitors strapped to them to see what made them beat faster. Watch here. Tourism NI celebrates the return of golf’s 148th Open to Portrush. Watch here. Tourism Ireland is showcasing Ireland’s Ancient East with a bucket list of things to do. Watch here. The fourth Holiday Show in connection with Shannon Airport, the only travel show on the circuit with free parking and free admission for attendees, takes place Saturday and Sunday next at the UL sports complex from 11-5pm, with 90 exhibitors including airlines, hotels, cruise companies, travel agents, tourist boards, tour operators, tourist attractions, motorhomes, caravan and camping and a free children’s entertainment zone also. See here for more information and a list of exhibitors. 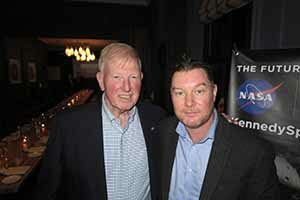 Astronaut Jon McBride told invited travel trade and media in Dublin that he wants to be the oldest guy to go into space (watch here), beating John Glenn’s record at the age of 77. The former naval pilot, who was number 69 of the 200 astronauts America has put into space (I am NOT putting that on my business card), visits Ireland every year and said Ireland has always has been in his blood (watch here). Most importantly for travel and tourism it was McBride who persuaded the Kennedy Space Centre to use astronauts for their tours of the visitor centre. “It took me two years to persuade them,” he says. “They tried it for a week, and now we have 40 astronauts on a roster. We have tours twice daily and a dine with an astronaut programme.” Jon draws up the roster. Good news then for those behind Ireland’s embryonic but fast growing space industry, particularly the guys at Réaltra, which was founded last year, which is Ireland’s first company dedicated exclusively to the space industry. Listen here to a Drivetime special on Ireland’s contributions to the Plato mission. Ryanair’s winter results showed the airline’s first quarterly loss since 2013, well signalled by guidance on January 18 which has reduced full year profit expectations from €1.2bn (last September) to just over €1bn, based on a 7pc fare reduction. Unit costs excluding fuel were up 6pc (still lowest in Europe but Wizz are closing in on them) with staff costs up 31pc, including 20pc pilot pay increases, investment in engineering headcount, pilot/cabin crew training, and elevated EU261 costs due to the high number of ATC staff shortages and disruptions. This resulted in an after-tax loss of €20m compared to an after-tax profit of €106m a year ago. Laudamotion’s expected loss for the year is €140m. Michael O’Leary’s decision to become Group CEO, concentrating on the development of the four-brand Ryanair group is compared with Willie Walsh’s decision to relinquish the CEO role at BA in 2012, a move widely criticised at the time. A replacement CEO of Ryanair DAC, who will work alongside the CEOs of Laudamotion and Ryanair Sun, will be appointed later this year. O’Leary, who said he would “go in two years’ time” in 2011, is now to stay until July 2024. This, apparently, is the succession plan that Ryanair promised at its AGM. David Bonderman, the chair with 24 years service, and Kyran McLaughlin, director with 18 years service, are not being considered for re-election at the September 2020. 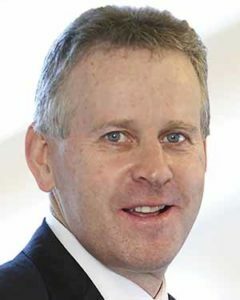 Former Kerry group CEO (and Kerry-born) Stan McCarthy, who joined the Board in May17, will transition to Chairman of the Board in summer 2020. Ryanair, which has 20 leased aircraft going back next year, talked down its fleet growth. Michael O’Leary told the earnings call he does not foresee extra B737 MAX growth above the five deliveries this year, followed by 50 next winter, of which half will be reallocated to Ryanair Sun and half to the Irish register.”I think it will be a big jump for us to take 50 MAX next winter and I am putting those aircraft into a lot of bases where they will not be familiar with dealing with the MAX aircraft. So, if there is any accelerated growth, it would be through Laudamotion or through some small-scale mergers and acquisitions. One of the challenges for us in recent years has been we have lots of Western pilots. Many of whom don’t like foresee themselves, don’t want to go and base themselves in Eastern Europe. I think we would want to be encouraging much more about Eastern and Central European pilot recruitment and training in the next number of years because they are equally at home whether they are working in Eastern and Central Europe or crewing in Western Europe as well”. See announcement here, results here and transcript here. Norwegian’s much anticipated 2018 full year and Q4 results were released on Thursday and they were not pretty. Margins are getting worse, affected by engine issues, fuel losses (unfavourable rates are the price of source finance uncertainty) and tough competition in a period of strong growth. Net loss of NOK1,454m was entirely down to fuel hedging, while unit costs, excluding fuel, are down 12pc. Revenue was up 30pc to NOK40bn, fleet increased by 25 boosting capacity by 37pc. Load factor was 85.8pc and passenger numbers up 13pc to 37m, one third the size of Ryanair. Norwegian were upbeat, saying five new B787-9s and 16 B737 MAXs in 2019 will have a lower operating cost, long-haul growth rate will drop in 2019, short-haul operations will be reduced with the closure of four bases in the Mediterranean, reallocating aircraft to strengthen the core Nordic markets and bringing total fleet at year end 2019 to 37. Not for the first time, Norwegian cited unnamed Asian investors to keep creditors at bay. 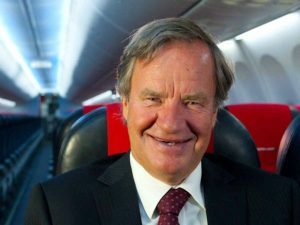 Geir Karlsen of Norwegian Air Shuttle reported on discussions to form a leasing joint venture between its Irish leasing arm, Arctic Aviation Assets, and a “very strong Asian company, the discussions are now involving our whole Airbus order book. There are now three parties sitting around the same table. 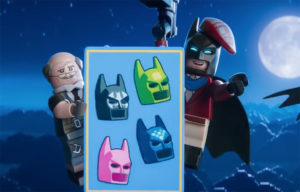 This is the reason why it is taking a bit longer than we wanted. We are going over every route. We have already closed routes and bases, and we will probably see more of this going forward. If it turns out we have too many aircraft we will sell them.” Airbus have agreed to postpone delivery of four A321LRs from 2019 to 2020 while Boeing agreed to delay delivery of twelve 737 Max 8s from 2020 to 2023 and 2024. Earlier this week, Arctic sold two A320neos due for delivery later this month. Norwegian has reached an agreement with the B787 engine manufacturer Rolls-Royce and does not foresee that engine issues will affect its service going forward. Press release here and presentation here. READ TRAVEL Extra's Sunday Supplement: Pier pressure, is Dublin Port willing to reprieve its cap on cruise ships? Brand USA is inviting registration for the 2019 megafam, usadiscoveryprogram.co.uk/megafam to compete for a place on one fo seven itineraries across the USA before a two day finale in Phoenix/Scottsdale, Arizona. Entries close March 29 2019. This year’s Travel Partners Group roadshow starts in Waterford on March 7, followed by Cork on April 11; Galway, May 9; Dublin, May 22; Dundalk, September 12; and Belfast, September 25. 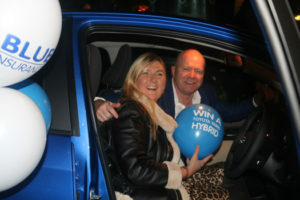 Attendees will be entered into a €1,000 cash prize draw. Topflight roadshow continues to criss-cross the country, February 13 Crowne Plaza, Dundalk, February 14 Newpark Hotel, Kilkenny, February 20 Midlands Park Hotel, Portlaoise, February 21 Salthill Hotel, Galway. February 27 Mount Errigal Hotel, Letterkenny. Contact Shauna Kelly as some of the venues are over subscribed. 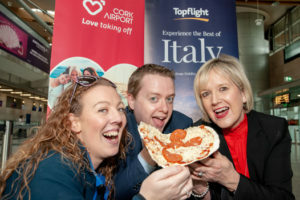 Picture shows Anne Dynan of Just Split with Christina Mulhare and Teresa South of Best4travel with the promotional material for the new Cork-Sorrento route at the Topflight Italian roadshow in Limerick. 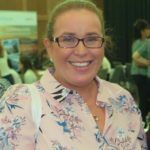 At the Cork roadshow, Kerry McCarthy from Lee Travel won a place on Topflight’s upcoming Italian fam trip and Karen Smith from Premier Travel won a luxury hamper. See more pictures here or connect with the album on Facebook. The Aer Lingus Taste of America roadshow commences on Monday next week with four events each scheduled for 6pm: February 18 Belfast Titanic Hotel, February 19 Dublin Radisson Blu Hotel Golden Lane, February 20 Limerick Strand Hotel, February 21 Cork Imperial Hotel. The Irish Travel Agents Association has relocated to 20 Molesworth Street, Dublin 2. The phone number will remain the same. While they are still unpacking boxes, they say members are welcome to drop in and visit the new setup. 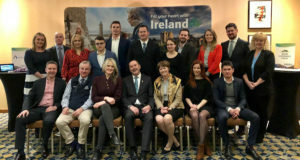 Ireland’s 75 Travel Counsellors reported a record-breaking month in January, 15pc up overall with cruise bookings up 39pc due, in part, Cathy Burke says, to the recent launch of Celebrity Edge, upcoming launch of MSC Bellissima and direct summer sailings from Dublin with Celebrity Cruises. Favourite long haul destinations are USA, 2 Mexico, 3 Australia, 4 Mauritius, 5 UAE, 6 South Africa, 7 Canada, 8 Sri Lanka, 9 Vietnam and 10 Japan. 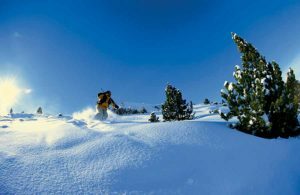 Travel Counsellors’ busiest day for bookings last month was Thursday, 31 January. Destinations that saw a significant increase in bookings included Mauritius up 27pc, Indonesia (25pc), Dominican Republic (18pc), Peru (120pc) and Croatia (28pc). 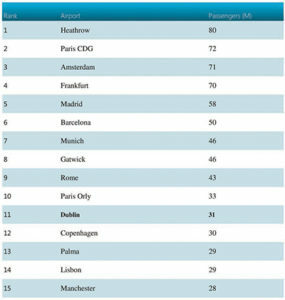 Top European destination was Spain followed by 2 Italy, 3 Portugal, 4 France and 5 Greece. American Holidays‘ sales and support teams will be moving this month from their present Duke Street home in Dublin. 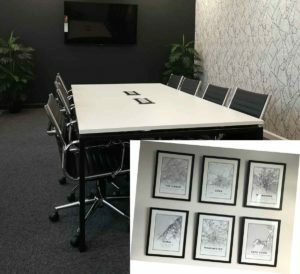 The sales team will be in new offices in nearby Exchequer Street. Meanwhile, Cathy Burke’s Travel Counsellors head office has moved to new surroundings, pictured, in the same Cork building. Paul Hackett’s Click and Go found in its travel barometer that prices climbed for Kusadasi holidays last year, which rebounded as an alternative to Spain and Portugal, while prices fell for bookings to Tenerife. Full story here. Joanne Conlon from Centre Travel Dundalk is the latest winner for a place on Classic Collection Holidays’ VIP fam to Lisbon. Two more places are up for grabs in February and March. The Central Bank has opened an investigation into Dublin-based travel software firm Datalex, after it issued a major profit warning last month The Irish Times reported. Expanding Hainan Airlines is looking for an Account Manager to be based in Dublin. 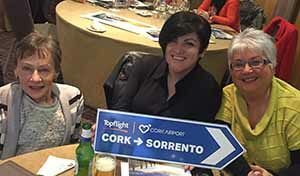 Topflight launched its Cork-Sorrento season at a photocall in London. The direct flights to Naples join its current programme offering the Lake Garda area to holidaymakers in Munster. Picture shows Shauna Kelly, Reseller Development Manager, Topflight; Brian Gallagher, Head of Aviation Business Development, Cork Airport; and Brenda Roche, Travel Trade Engagement Specialist, Cork Airport. 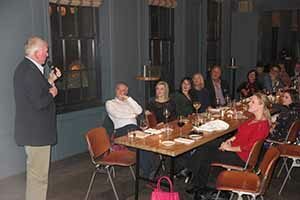 Tanya and Philip Airey of Sunway were invited to an exclusive dinner in London arranged by Travel Weekly group and The Travel Corporation. 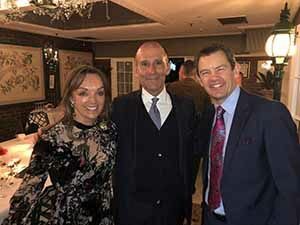 Picture show Tanya and Philip Airey with Gavin Tollman, CEO of Trafalgar & Chairman of Travel corporation in South Africa. The Travel Industry Golf Society calendar for 2019 has been released with (cunningly) three Friday fixtures for the first time: Friday 22 March – St Margaret’s Co Dublin. Thursday 18 April – Greenore Co Louth. Thursday 16 May – Esker Hills Tullamore. Friday 21 June – Palmerstown House, Johnstown, Co Kildare (President’s Prize). Friday 26 July – Beaverstown Donabate. Tuesday 10 September – Killeen Castle Dunsany, (Captain’s Prize). Thursday 3 October – The Castle Golf Club Rathfarnham, sponsored by Travel Extra. Contact here for more details. Tui entertained key travel trade at the Ireland v England rugby match in the Aviva. 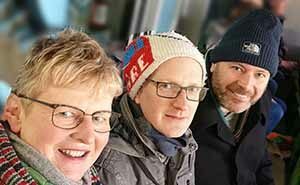 Picture shows Frances Grogan of Grogan Travel, Simon Eaton of TUI and Jeff Collins of Best4Travel. Watch here speech by Pere Granados mayor of Salou at the Spanish Tourist Board event on SS Nomadic. Watch here speech by Kristian Kamplade of Costa Darida speaking about the new airport at Murcia. Watch here video diary of the event. See more pictures here or connect with the album on Facebook. Watch here images from Holiday World@RDS Dublin 2019. See more pictures here or connect with the album on Facebook. Watch here images from Irish Travel Industry Awards 2019. Watch here ITIA contribution to the industry award presentation to Maureen Ledwith & Edmund Hourican. See more pictures here or connect with the album on Facebook. A butcher in Germany has opened a sausage-themed hotel, which he believes to be the world’s first, the charmingly alliterative Boebel Bratwurst Bed and Breakfast in Rittersbach. A British tourist who slapped an immigration officer in Bali erupted into another rage as she was led away from court to a six-month stint in jail. In a sign of the tech backlash, Vienna Woods Country House Hotel in Glanmire is offering Valentine’s night breaks where guests give up their mobile phones at reception. A British football fan was arrested in the UAE reportedly for wearing a Qatari jersey. The Eoghan McDermott Show on 2FM visited Austria. 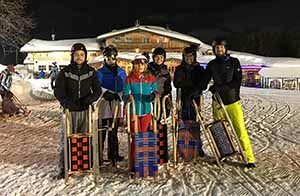 Picture shows the group tobogganing: JJ Hartigan, Dave Gibson, Sarah Slattery, Adam Hogan, Jonathan Doyle and Eoghan McDermott. Dnata reported a 63.5pc increase in year on year travel from the UAE to Ireland since the announcement of visa free-travel for Emiratis to Ireland in early 2018. Dubai Parks & Resorts said the finance is no longer available to build the Six Flags Dubai theme park. The Advertising Standards Authority of Ireland received 107 complaints made about bloggers and influencers in 2018 claiming they were flouting advertising rules by promoting products under the guise of editorial content. A mother and daughter have died after a ride collapsed at a theme park in Sri Lanka’s Veyangoda area. A tourist tax that Venice is to introduce in May has been criticised by Italy’s tourism minister as “useless and damaging”. Operating profits at the Mercantile Group of pubs and restaurants fell 84pc for 2017 amid exceptional costs of €3.1m. 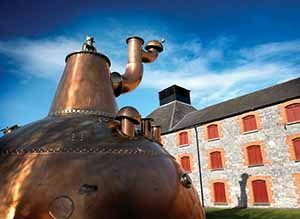 Jameson Irish Whiskey saw growth of 40pc in Sub Saharan Africa and 50pc in India in the last six months of 2018, Irish Distillers revealed. Supermac’s is expected to create 200 jobs with new branches in Wexford, Waterford and Kinnegad. Expedia and Trivago are among six online hotel booking sites who agreed to changes to end misleading sales tactics and hidden charges after a probe by the London competition watchdog. Booking.com, Agoda, Hotels.com and ebookers were also investigated. Airbnb has hired former Virgin Atlantic executive Fred Reid as its global head of transportation, as it aims to become a ‘full-service travel website’ with transportation services. Dublin’s four-star Marker Hotel could soon be on the market – with a €120m-plus price tag. Supermac’s MD Pat McDonagh’s Só Hotels is to create 100 jobs with revamps of the Athlone Springs Hotel, Limerick’s Castle Oaks House Hotel and Killeshin Hotel in Portlaoise. Castlemartyr Country Hotel Resort Ltd – owners of the five-star Castlemartyr Hotel since 2015 – sustained losses of €564,728 in the year ending March 31, 2018, despite a 7pc rise in revenues. MKN Property Group and Tifco got the green light to develop a €40m, 178-bedroom hotel in Dublin’s Portobello area. An Bord Pleanála has approved plans for a 71-bedroom hotel in Donnybrook, Dublin. Newry, Mourne and Down District Council is being tipped to green light plans for the four-star Seven Hills Hotel and Spa in Rostrevor, Co Down. Ryanair is to cancel its Dublin Vigo service from May 2019 as it cancels all three routes serving Vigo–Peinador. Ryanair reduced its number of bases, including Lauda, from 92 in autumn 2018 to 87 in spring 2019. Ryanair January passenger numbers were up 11pc to 10.3m, the first time it has passed 10m in January. Load factor was 91pc and rolling annual numbers passed 140m for the first time. New Ryanair routes announced for summer 2019 include Bristol-Malpensa 2w; Malpensa-Palma 3w; Lamezia Terme-Palma and Bordeaux, each 2w. Ralph Anker reports that Ryanair summer seat capacity is up 5pc, with 182 new routes and 150 gone. Aer Lingus passenger numbers were up 6.3pc to 658,000 in January. Load factor was down 2.8 to 68.1pc. Turkmenistan, banned from EU airspace this week, operated to Amritsar and New Delhi from Heathrow and Birmingham. Full incident report from a widely reported Condor diversion to Shannon: A Thomas Cook Airbus A330-200 on behalf of Condor, registration G-TCCF performing flight DE-2116 from Frankfurt/Main (Germany) to Cancun (Mexico) with 337 people on board, was enroute at FL360 over the Atlantic Ocean about 880nm west of Shannon (Ireland) when the crew declared Mayday reporting smoke in the cockpit, turned around and diverted to Shannon. On approach the crew advised the smoke had dissipated, they needed to burn off fuel for about 5 more minutes and landed safely on runway 24 about 2 hours after turning around. Emergency services found no trace of fire, heat or smoke. The passengers were taken to hotels while maintenance is working to determine the source of the smoke. 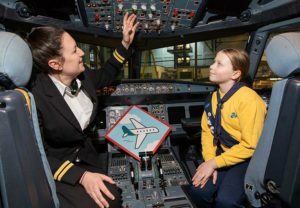 Aer Lingus is looking for the female pilots of the future with a tie-in with the Girl Guides. First Officer Rachel Passmore is pictured with Brownie Sarah Cassidy (9) at the announcement. Full story here. Cork is claiming the title of Ireland’s most punctual airport, according to the latest OAG data putting its on-time performance at 80.2pc. More woes for the Airbus A380, with Qantas cancelling its outstanding 2006 order for eight more of the aircraft. Dublin Airport was the 11th largest airport in the European Union last year, according to Airports Council International (ACI) Europe. Ryanair’s Kenny Jackobs condemned ‘outrageous’ ATC issues, claiming that staff shortages in air traffic control centres delayed more than 2,900 of its flights in January. Full story here. Joe Sultana of Eurocontrol told the European Aviation Symposium at Munich that European flights will increase by 3.3pc this summer, fewer controllers are available in France and Germany to manage this growth and the option for planes to fly lower to take full advantage of airspace capacity has been used up, he pointed out. FlightAscend Consultancy said leased aircraft increased by 629 to 8,109 aircraft in 2018 and an estimated 100 new names have entered the commercial operating lease sector over the past decade. An emerging trend is for airlines to push for shorter leases on aircraft from 12 to eight, or even six years, and for airlines to over order and try to flip aircraft to leasing companies at a profit. A JetBlue statement welcomed the fact that the US DoT examination of the application of Aer Lingus to join the BA, American, Finnair, Iberia transatlantic joint business agreement preserved Aer Lingus’ ability to cooperate and codeshare with other carriers and maintains Aer Lingus’ freedom to continue its existing codesharing with JetBlue. Christoph Mueller, Aer Lingus CEO from 2009 to 2016, has resigned as Emirates Chief Digital and Transformation Officer and plans to return to Europe. Pre-tax profits at Parc Aviation increased by 17pc to €3.78m to end March 18. Revenues were up by 7pc to €134.45m. UAE-based Spatial is to manufacture an A321NX Extended Over Wing Exit Trainer at Aer Lingus’s Training Academy based at Dublin Airport to enable Aer Lingus’s cabin crew to be trained in passenger service and Safety and Emergency Procedures. Chicago’s O’Hare International Airport has overtaken Atlanta’s Hartsfield-Jackson as the US’s busiest airport, with 903,747 arriving and departing flights last year. Aer Lingus is to add a fifth weekly flight on Thursdays on the Dublin-Seattle route from June 6-October 17. Dublin Airport welcomed Hainan‘s new service from Dublin to Shenzen, a mere two weeks after it was revealed in the Sunday Supplement. British Airways will be moving to JFK T8 with American Airlines in 2022 after 50 years in T7, allowing T7 to be demolished to allow for JetBlue’s new terminal, which will cover the areas of the current T5, T6 (demolished in 2011) and T7. Rome’s Ciampino airport, used by Ryanair, was forced to shut for hours after three World War II bombs were found. The follow-up ship to Spectrum of the Seas in Royal Caribbean’s Quantum Ultra Class will be called Odyssey of the Seas, and will launch in autumn 2020. 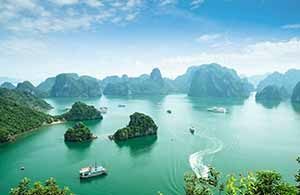 Royal Caribbean is looking for an explorer to test out shore experiences for the line – and be paid €2,200 a week for the three-week experience. Hopeful applicants must be 21 years or over, hold a valid passport and be able to travel this year. More information can be found by visiting Royal Caribbean’s Instagram channel or website. 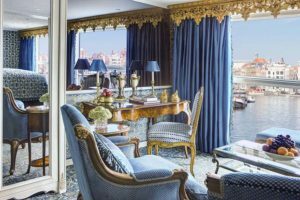 The sixth ship in Viking Ocean Cruises‘ fleet, Viking Jupiter, has been delivered to the line at the Fincantieri shipyard in Italy. 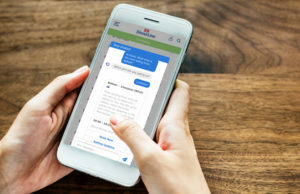 Stena Line is to launch a Chatbot named Stina which can give customers updates regarding information on departure times, prices and can answer other FAQs. 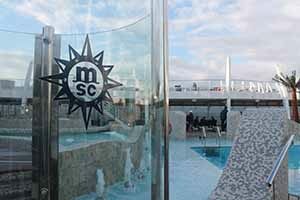 Princess Cruises is updating Caribbean Princess, replacing its Pirate’s View aft pool with an all-new Reef Family Splash Zone. Oprah Winfrey launched Holland America Line’s Nieuw Statendam in Fort Lauderdale’s Port Everglades. 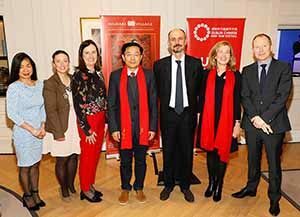 Official sponsors of the Dublin Chinese New Year Festival, Kildare Village hosted an event on Friday with the Chinese Ambassador to celebrate a weekend of Chinese New Year festivities. Throughout Saturday 9th and Sunday 10th February guests can get involved in a host of activities from Sugar Painting to traditional Lion and Dragon Dancing shows. There will also be lantern making and calligraphy workshops. Picture shows Sue Fong Gan of Newbridge Silverware, Michelle Brophy of Hertiage Resort and Spa, Aine Mangan of Kildare Failte, Yue Xiaoyong Amabassador of China, René Frion of Kildare Village, Alison Johnston of Kildare Village and Adrian Mooney of The Curragh Racecourse. 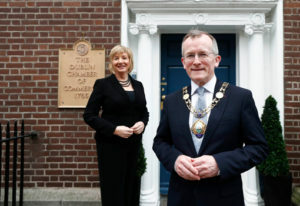 Tourism Ireland CEO Niall Gibbons said the Metrolink is a priority for the city in a speech marking his election as President of the Dublin Chamber. He is pictured with Mary Rose Burke, CEO of the Chamber, in Dublin. Full story here. Junior Health Minister Jim Daly has called for “selfie seats” at Irish attractions such as the Cliffs of Moher to curb the growth of deaths caused by tourists taking photos in unsafe areas. Tourism Ireland led a delegation of 14 tourism businesses on a sales mission to Canada, taking in Vancouver, Calgary, Hamilton and Toronto. 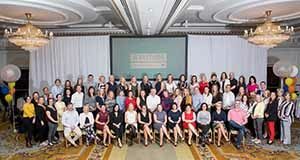 Pictured in Vancouver are Alison Deegan, Original Irish Hotels; Colin Wynne, Moloney & Kelly; Louise McGee, B&B Ireland; Richard Byrne, Adams & Butler; John Goranson, Collette Vacations; John Higgins, Giant’s Causeway; Clarissa Delap, St Patrick’s Cathedral; Jonathan Sargeant, Royal Irish Tours; Alison Behan, The Merrion Hotel; David Cleary, EPIC; Janice Tozer, CIE Tours International; and (front) Jason Powell, Antrim Council; David Wardell, Irish National Stud; Dana Welch, Tourism Ireland; Frank Flood, Consul General of Ireland in Vancouver; Alison Metcalfe and Sandra Moffatt, both Tourism Ireland; and Peter Ousonov, Globus. Refurbishment works at Brú na Bóinne have been postponed until March 1st. Watch here Willie Walsh’s brilliant response at the ITIC awards to Shane Ross comments about the hospitality VAT rate increase. Watch here Shane Ross’s rallying call to bemused industry representatives to “get on with it” despite the VAT increase. Insight Vacations offers: Easy Pace Russia escorted tour, from €2,279 per person sharing, including flights, transfers, and 7 nights’ accommodation in central locations. Flight cost must be paid at the time of booking. Book and pay in full by 28 February 2019, depart April 28. www.insightvacations.com or call 01 775 3803. TUI offers: Dublin to Lanzarote, 7 nights all inclusive 3* The Morromar, Matagorda, from €469pps, depart February 24. Dublin to Gran Canaria, 7 nights self catering 3* Monte Feliz, Bahia Feliz, from €359pps, depart March 28. Dublin to Lanzarote, 7 nights self catering 2*+ Lanzarote Paradise Club, Costa Tequise, from €369pps, depart March 24. Dublin to Gran Canaria, 7 nights self catering 3* Rocamar, Puerto Rico, from €379pps, depart March 28. Dublin to Tenerife, 7 nights all inclusive 3* Catalonia Punta Del Reu, Las Caletillas, from €499pps, depart March 1. Dublin to Dominican Republic, 14 nights all inclusive 3* Caribe Club Princess, Bavaro, from €1,899pps, depart March 26. 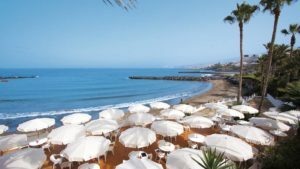 Cork to Costa Del Sol, 7 nights half board 4* TUI Sensimar Riviera, Benalmadena, from €699pps, depart March 10. Dublin to Cyprus, 7 nights self catering 3*Basilica Holiday Resort, Paphos, from €499pps, depart May 22. Dublin to Algarve, 7 nights all inclusive 3*+ Yellow Alvor Garden, Alvor, (family 2+1) from €2,079 (free child place), depart June 24. Dublin to Tenerife, 7 nights self catering 4* Colon II, Playa De las Americas, (family 2+1) from €1,719 (free child place) , depart June 28. Ireland West to Majorca, 7 nights self catering 3* Verdemar, Santa Ponsa, (family 2+1) from €1,559 (free child place), depart June 20. Cork to Lanzarote, 7 nights all inclusive 3* The Morromar, Matagorda, (famiily 2+1) from €619pps, depart May 28. Dublin to Croatia, 7 nights all inclusive, 4* TUI Sensimar Medulin, Pula, from €849pps, depart March 18. Dublin to Italy, 7 nights all inclusive 4* TUI Sensimar Nastro Azzurro, Piano Di Sorrento, from €999pps, depart May 15. http://www.tuiholidays.ie call 1850 45 35 45 or visit a TUI Store/travel agent. See travelextra.tv for more video. Email editor@travelextra.ie to have your say or it is @TravelExtraIre on Twitter if that’s your bag. TRAVEL Extra’s Sunday Supplement: Life after A350, FOUR of Aer Lingus 350s to go to Iberia but what about the other five?